16 fascinating woman fashion designs, perfect to start summer in style! Our new summer collection by Anchor Freccia! Customise your accessories with colorful and trendy tassels! 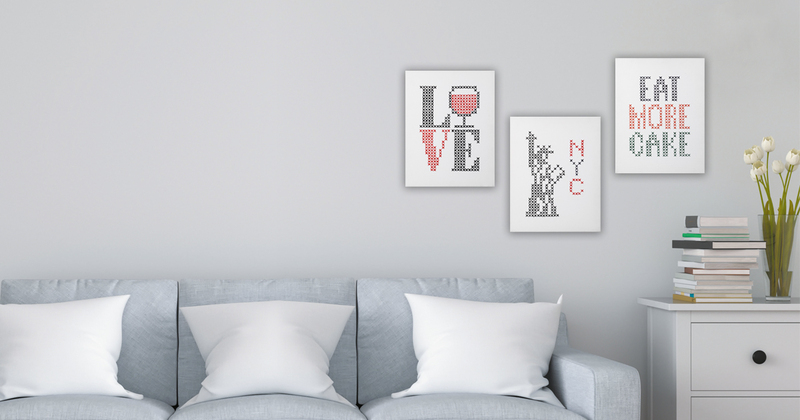 Stylish and modern collection of home décor acessories! A dreamy collection of romantic baby cloths and adorable nursery decorations! A collection of 12 baby designs from fashion to nursery decoration ideas! An extra-long staple 100% Egyptian cotton mercerised (2ply) thread that provides a silky touch. Soft and silky 100% mercerised cotton yarn, lightweight, hypoallergenic and breathable and very easy to handle. A 3 ply yarn structure, 100% Egyptian mercerised cotton, a delicate balance of softness, flexibility, body and brightness. Extra thin Egyptian cotton thread, with a 6 cord construction and double mercerised it offers high strength and lustrous. A fine crochet yarn with brilliant metallic effect, a blend of Viscose and metallised polyester for a soft touch and pleasant feel. Colourful and festive crochet bunting made with cute bunny heads and carrots, designed by Samanta Fornino! Through our gradient effect concept and its colourful 13 designs! Big and Easy cross stitch collection! 5 modern and quirky designs perfect to decorate your kitchen! Ideal for beginners! What colourful and shiny Christmas baubles perfect to decorate your home designed Carmen Heffernan!